We’re very excited to announce the first Gay Happiness Project retreat at the Cinq & Sept gay guesthouse in the spectacular Languedoc region of the South of France. Join us for a week of life-skills, mindfulness meditations, self-care, yoga and authentic connections. After a group welcome dinner on the first night, the retreat will combine elements of the Gay Happiness Project and further personal development work along with yoga by the pool, plenty of free time to relax and trips to explore the local area. 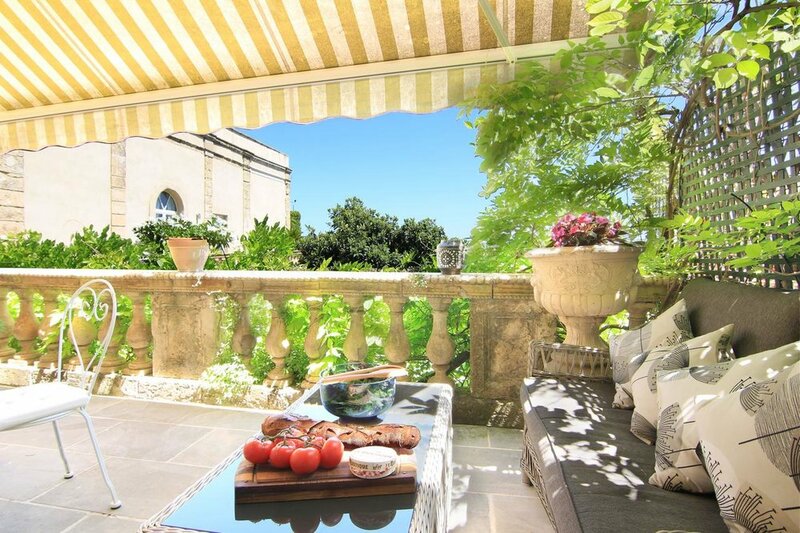 Cinq & Sept is a luxury gay guesthouse located in the Languedoc region of the South of France. The guesthouse offers a large pool and garden with a ‘summer lounge’ area in which you can relax. All of the suites at Cinq & Sept compromise of a bedroom, sitting room, shower room and well-equipped kitchens. There are three levels of accommodation (Mansion Suite, Terrace Suite, Garden Suite) and an option of single-occupancy or shared. Please note: Travel, lunch, dinner & excursion expenses will not be included. Alcohol is permitted during the course, in moderation.